Roselawn recently completed their new Butterfly Cremation Garden on the North side of the cemetery. The garden sits on a 6,500 square foot site with decorative stamped walkways laid out in the shape of butterfly wings. Visitors enter the garden through a granite trellis that arches over the walkway. The trellis contains single and companion niches. The garden contains just about every available option for cremation remembrance. 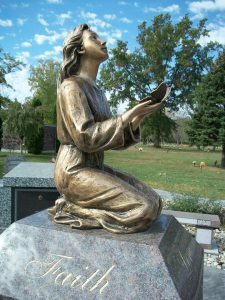 The garden features a beautiful selection of granite cremation benches, cremation boulders and slants, as well as private columbariums along the walkways. 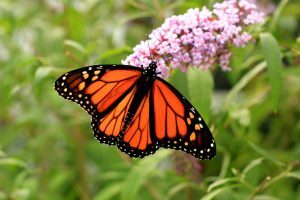 There are dedicated planting areas that contain butterfly host plants and nectar plants. The central feature has a bronze statue of a little girl kneeling with a butterfly lifting off her hands. The granite pedestal below contains an ossuary, where cremated remains may be placed. 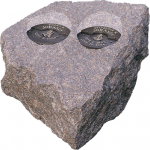 Bronze memorial plates are attached to the granite pedestal. There is a large scattering area where cremated remains may be scattered in multi-colored river rocks. Two “Open Book” memorial tablets hold bronze memorial plates in this area. This area also has large boulders on which brightly colored bronze memorial butterflies will be attached. The new garden was 2 years in the making from design to completion. 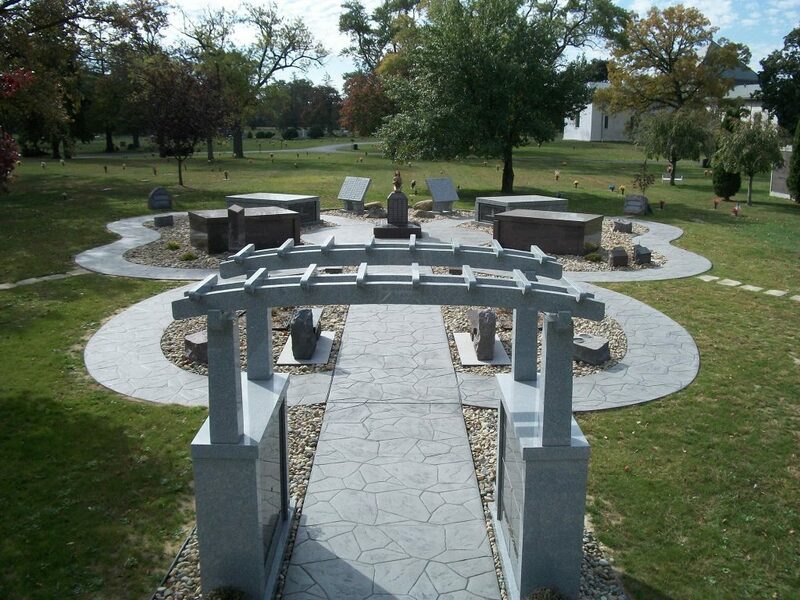 It is a one of a kind design created especially for Roselawn, and is the largest cremation garden in Monroe County.